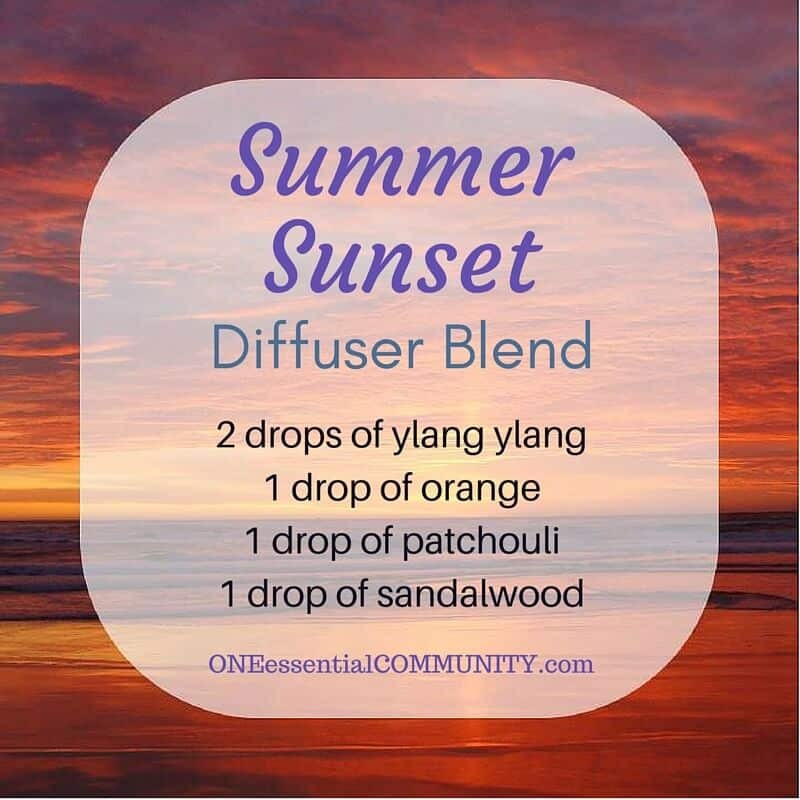 feeling sand, dirt, and grass on my feet, catching up on reading, and watching sunrises and sunsets. 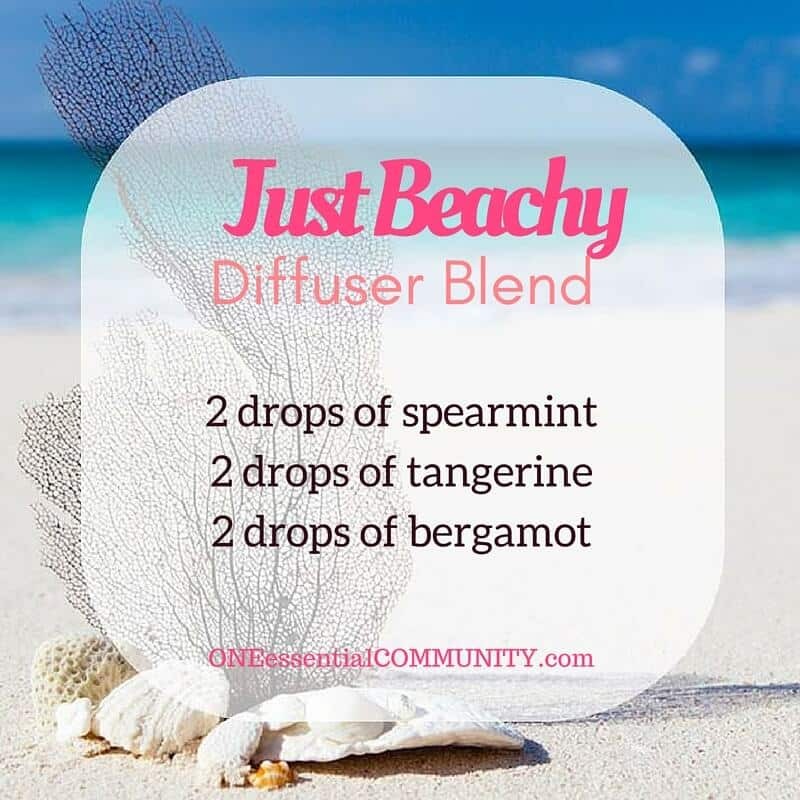 There’s so much to love about summer!! 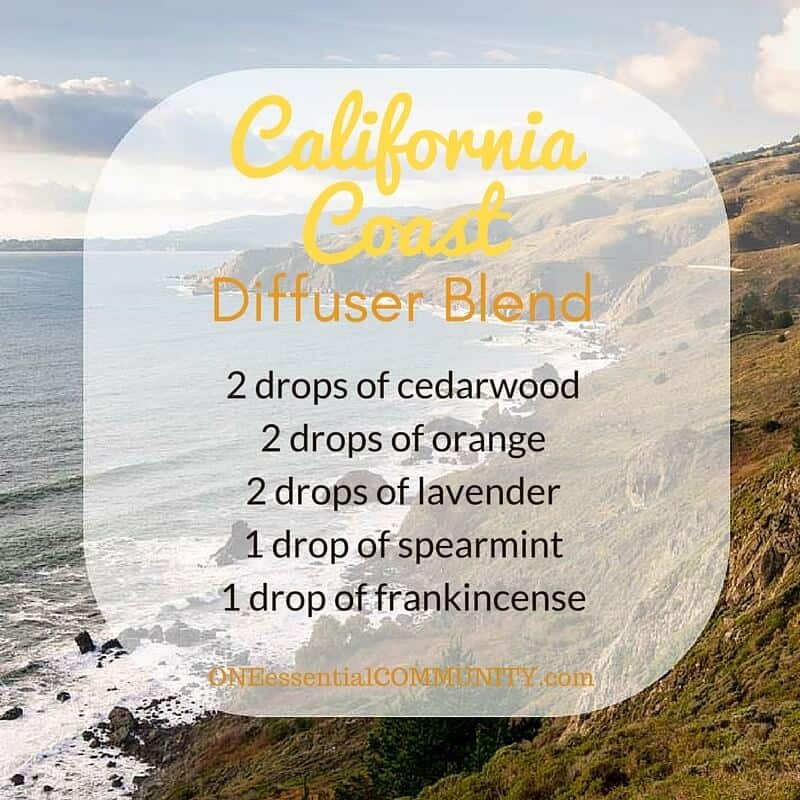 And I love the SCENTS of summer – pine, cedar, and cypress remind me of time spent at the lake and hikes along the California Coast … citrus scents like lemon, tangerine, lime, grapefruit, and orange bring back the feeling of the warm summer sun … peppermint and spearmint have a cool, refreshing scent that when combined with other scents can smell like the beach or a chilly mojito … sandalwood transports me to a magical sunset or walk along a tropical beach … the combination of lavender, spearmint, and lime is the closest thing I’ve found to the calming scent of ocean air. 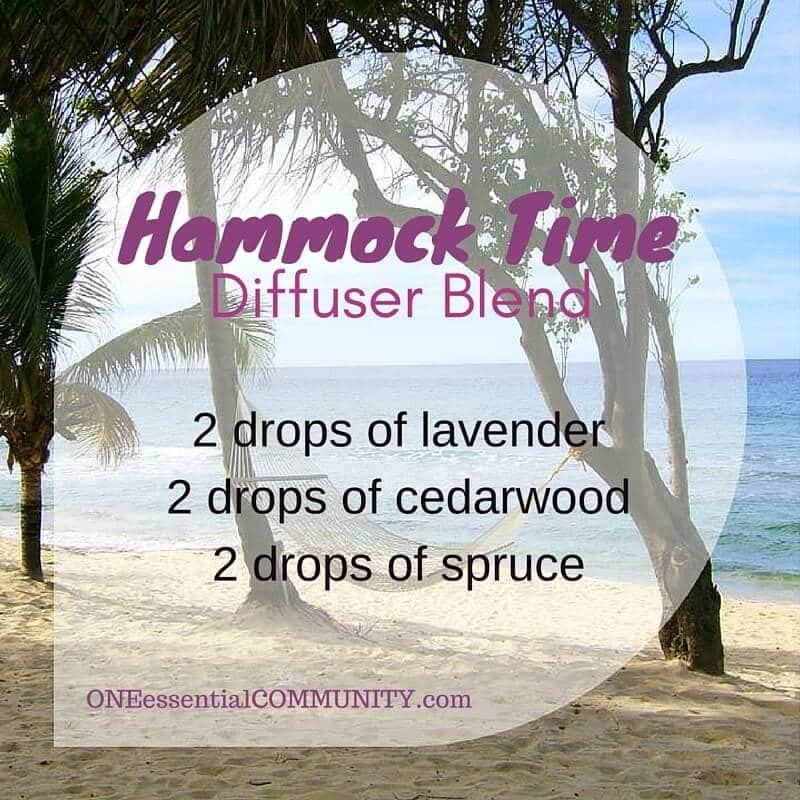 It’s amazing how a simple scent can whisk me away. 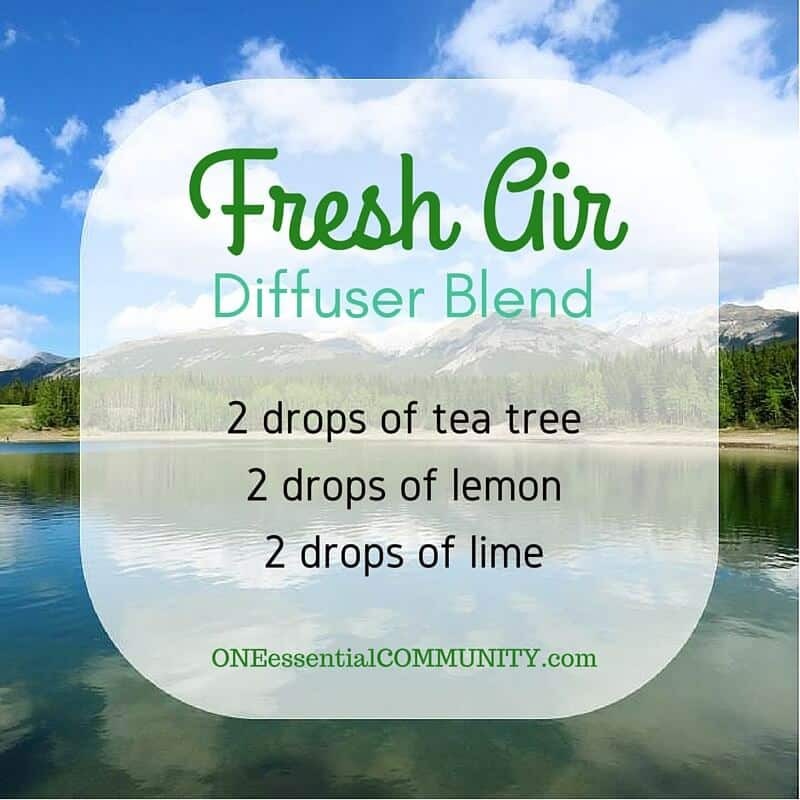 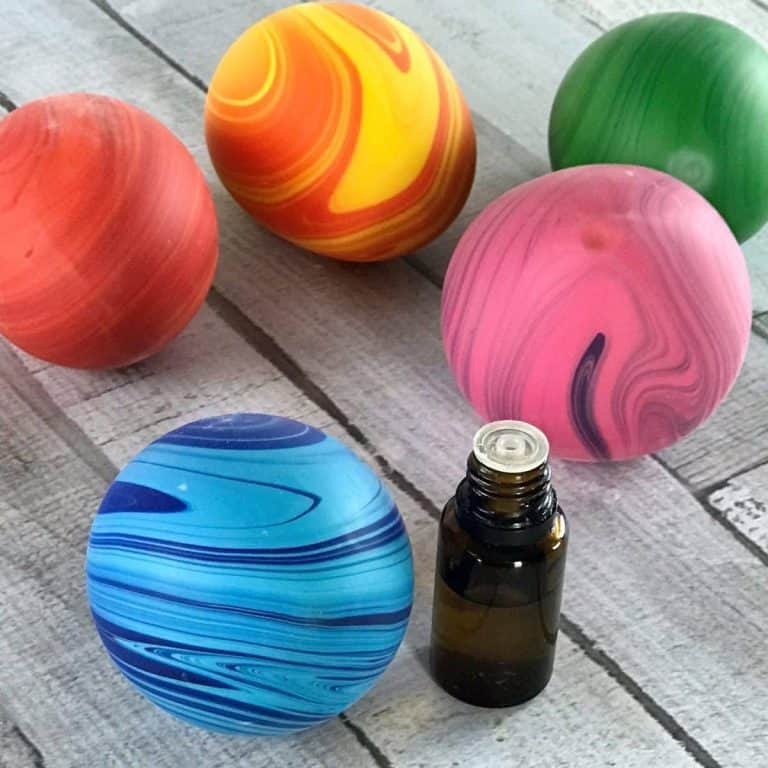 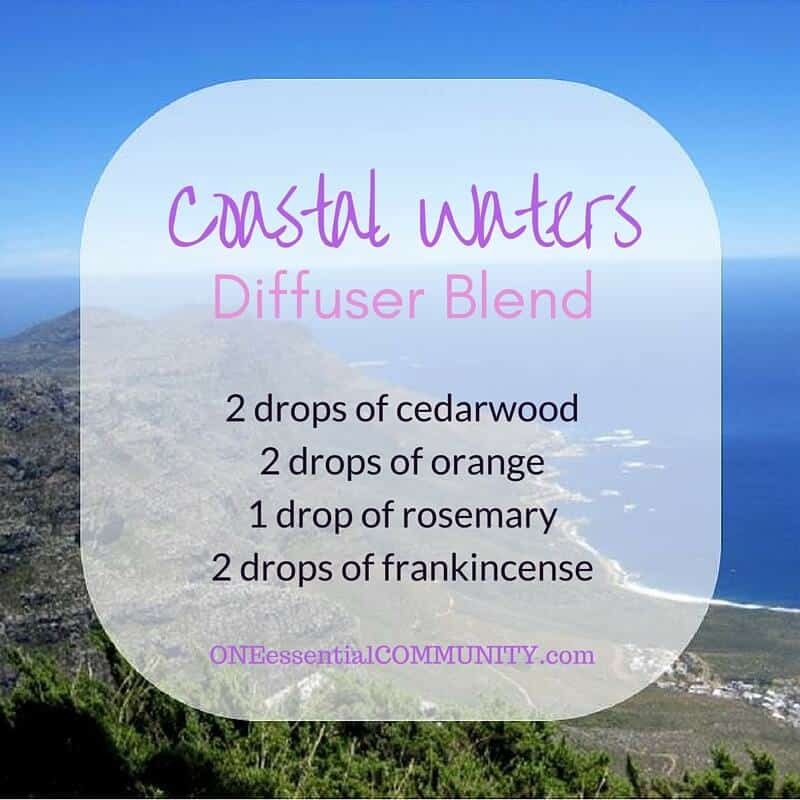 I can be washing a sink full of dishes but smelling essential oils diffusing in the air can transport me back to wonderful summer memories and time spent with family and friends. 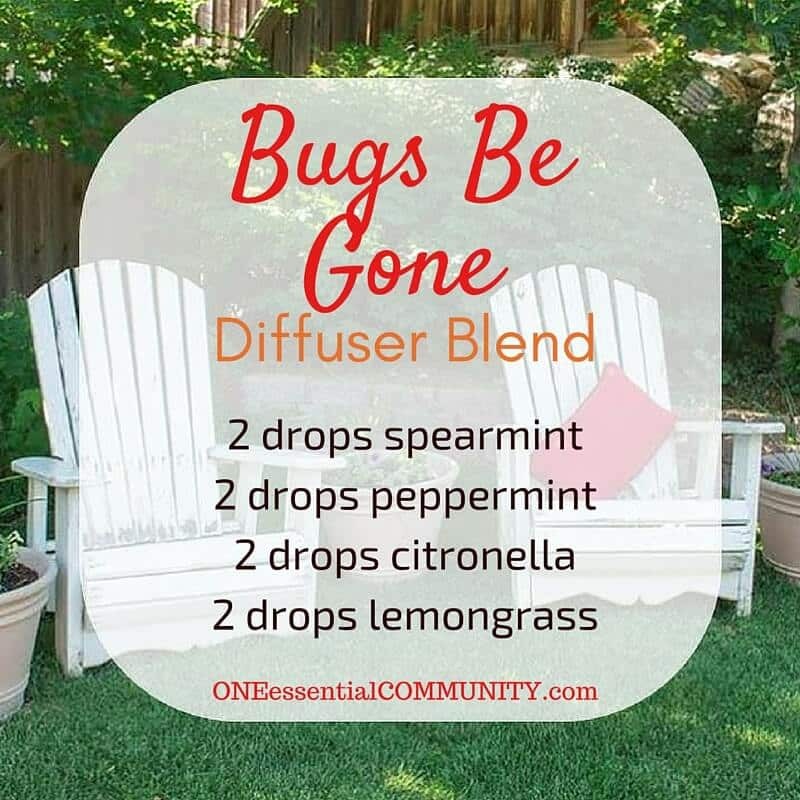 DIY Bug Spray That Really Works! 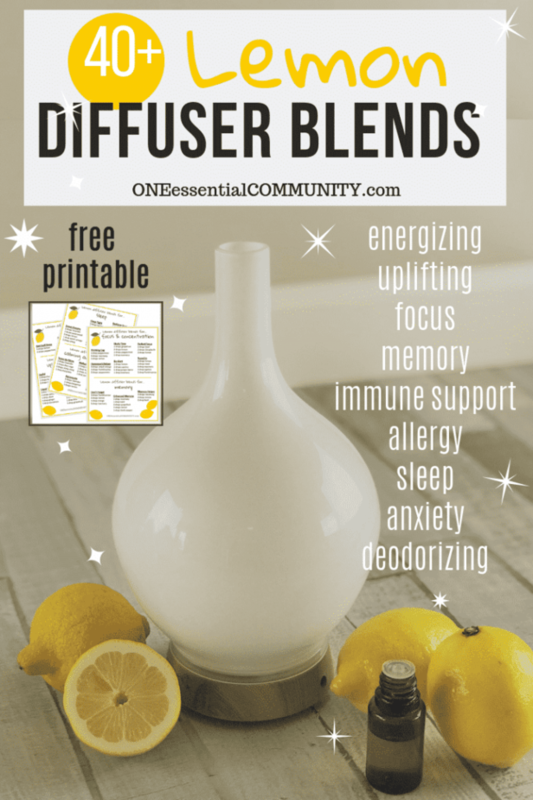 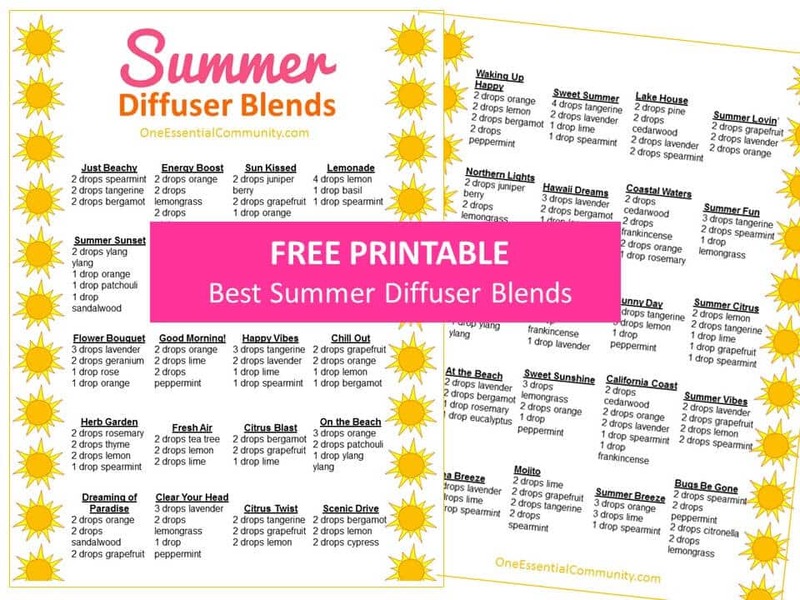 Below are the recipes for my favorite summer diffuser blends. 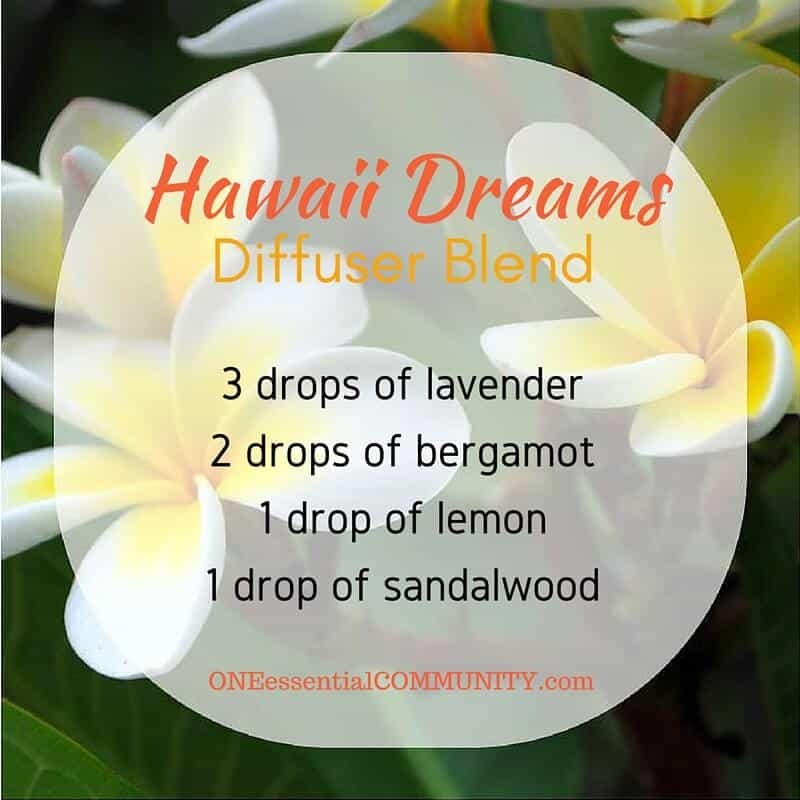 Please scroll through and see if any remind you of your favorite scents of summer. 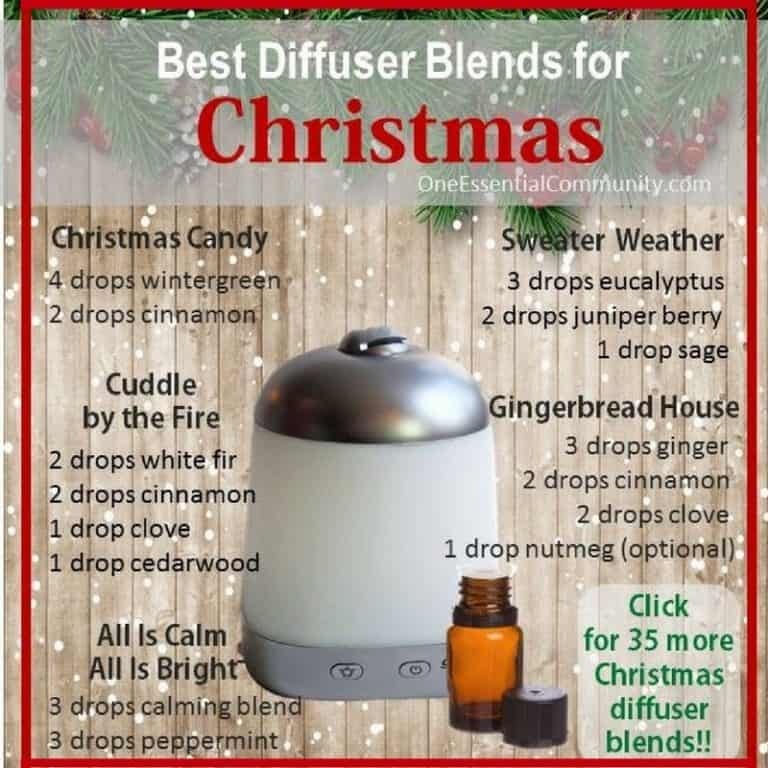 I hope you find some new favorites, too! 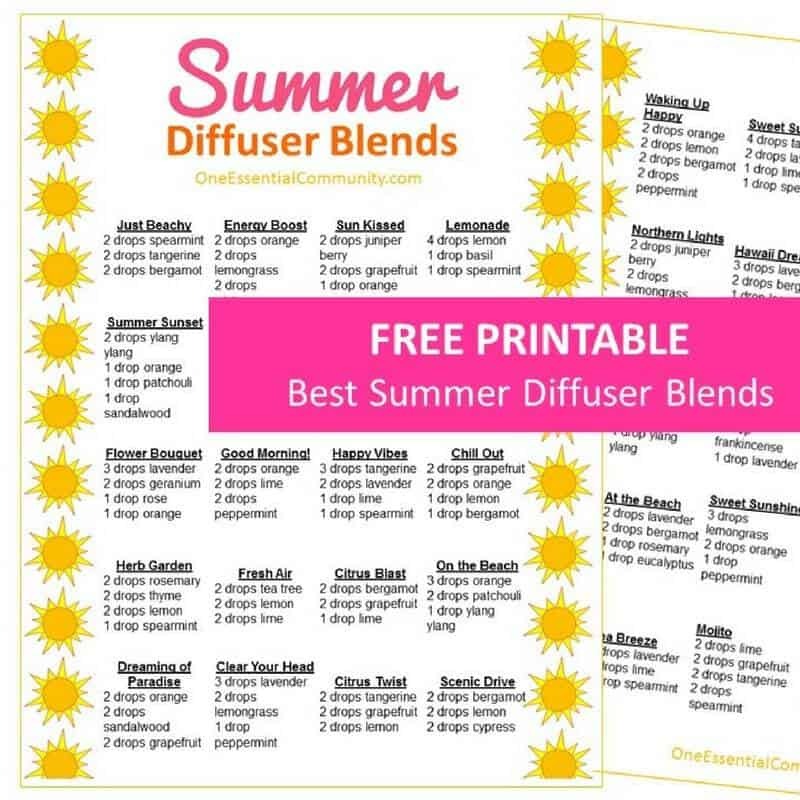 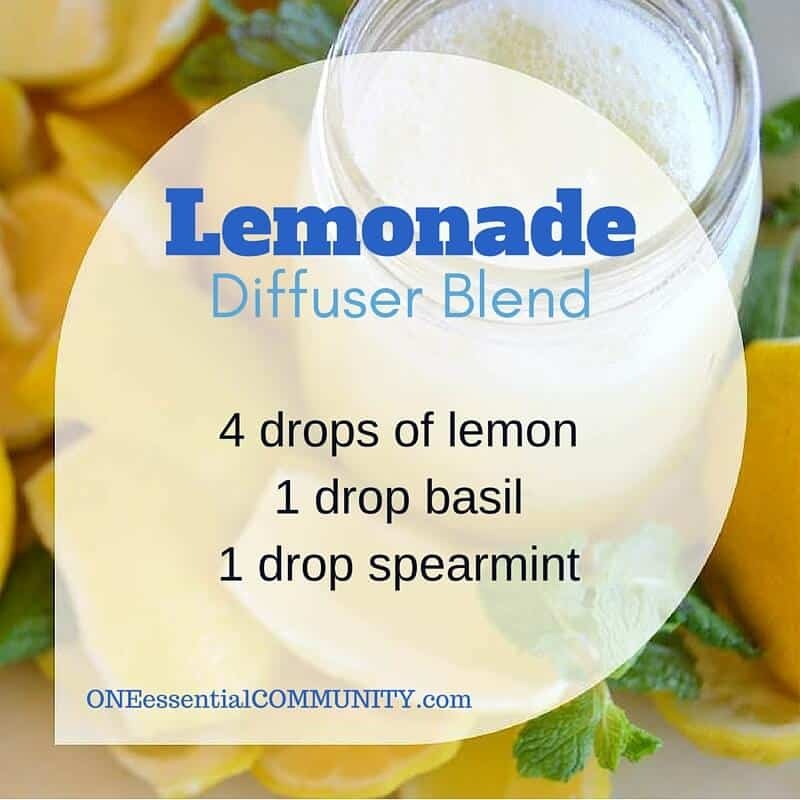 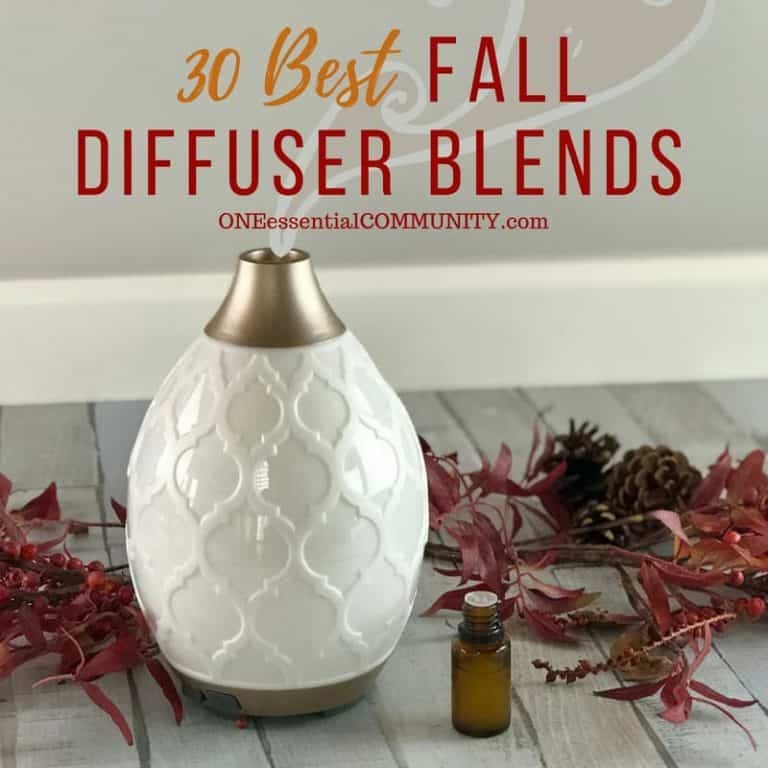 And if you have other summer diffuser recipes that you love that aren’t included here, please comment below and tell us all about them. 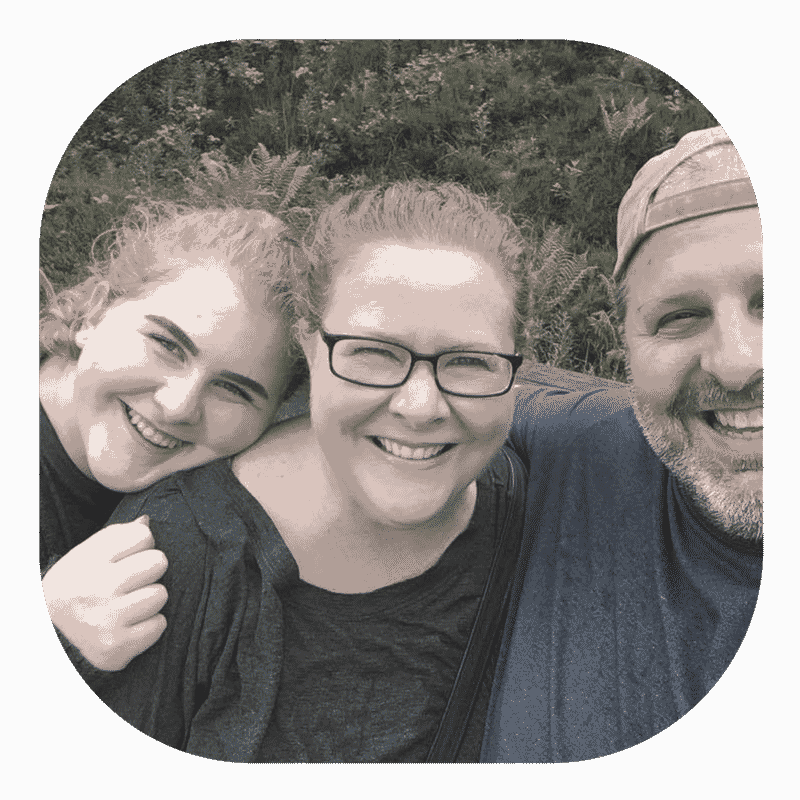 It’s so much fun to share and learn from each other! 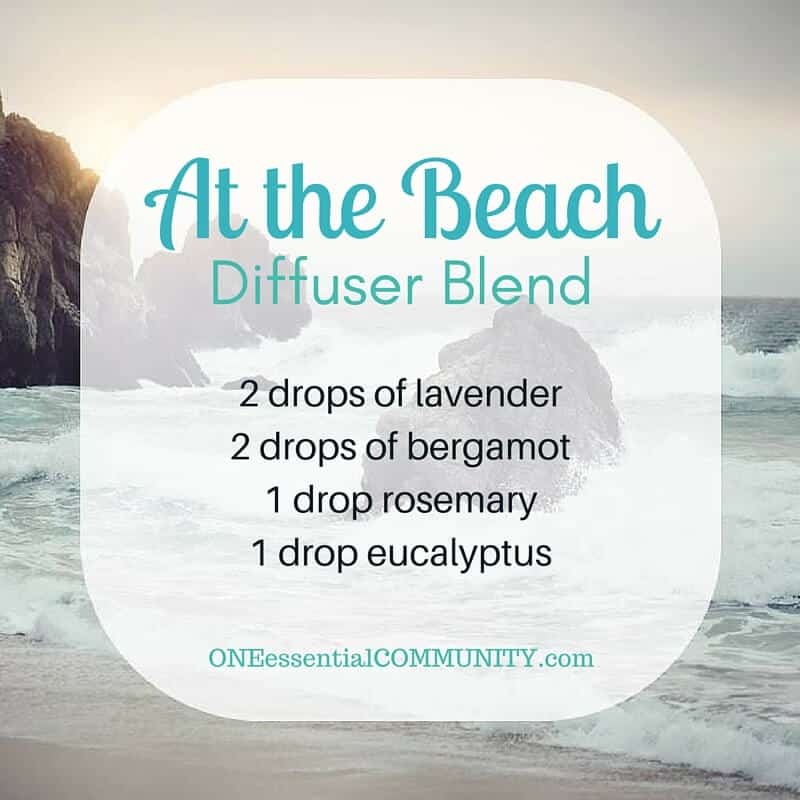 Looking for more essential oil recipes for summer? 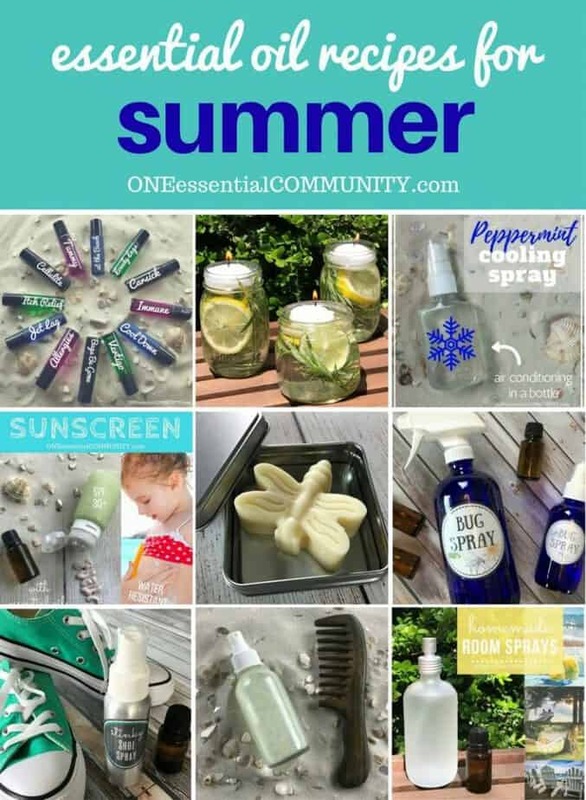 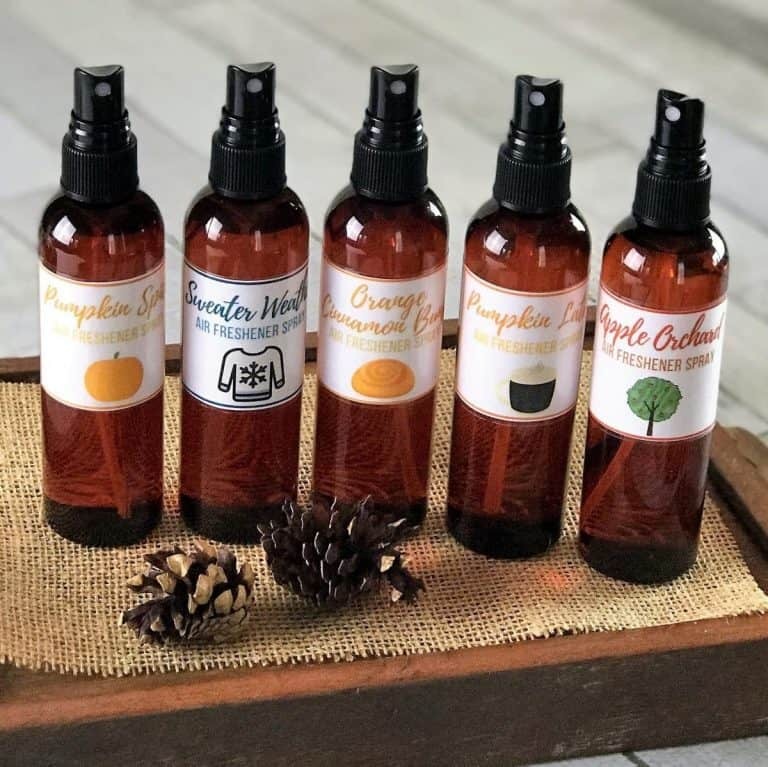 Find my 40 favorite summer DIY recipes here – sunscreen, after-sun spray, cooling spray, deodorant, diffuser blends, room sprays, rollerballs, bug spray, essential oils for travel, and more. 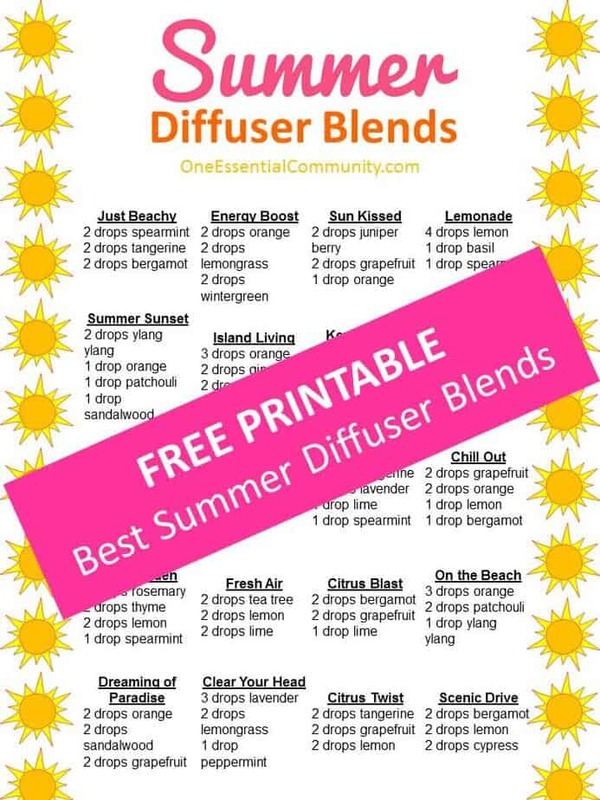 Lots of easy summer essential oil recipes with step-by-step instructions and free printables.